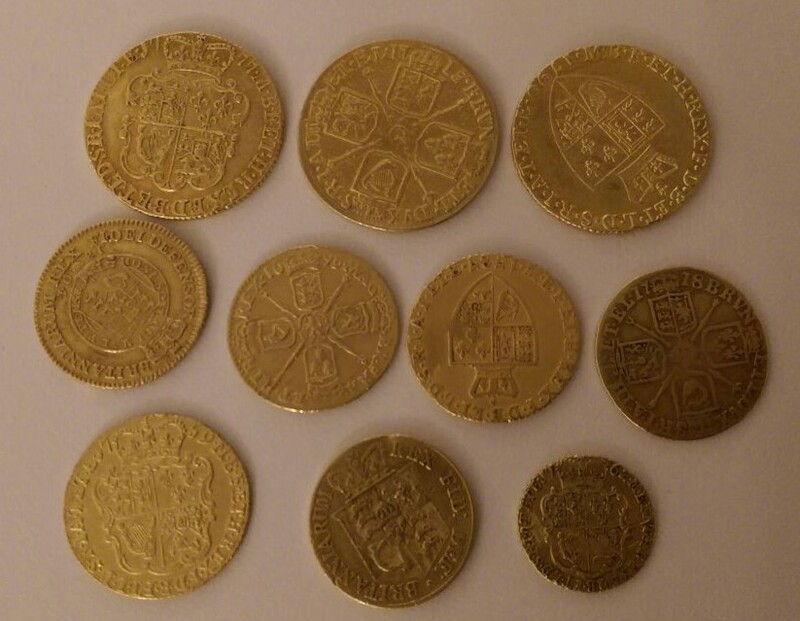 A customer of ours was stolen his coin bought in Spain (photo attached) by mail from Barcelona to Stuttgart, The shipment was opened, the coin stolen and then closed again. 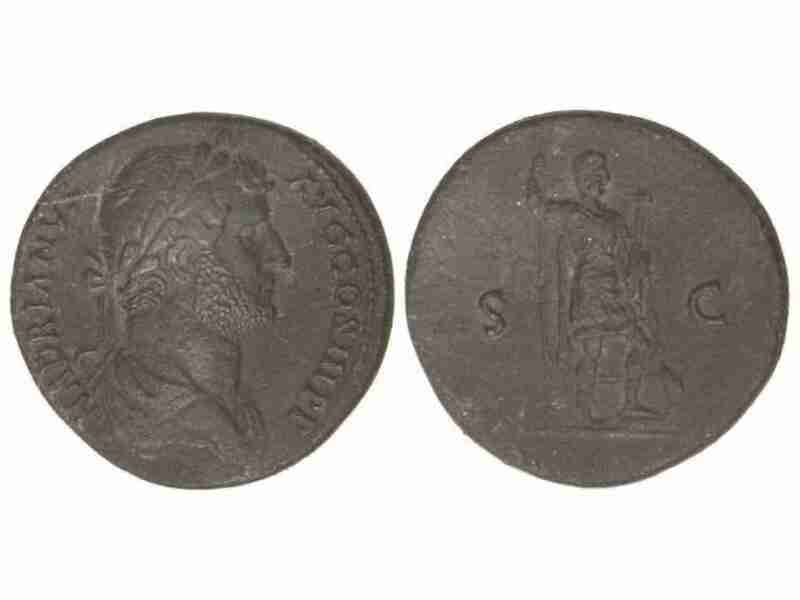 It is a Sesterz of Hadrian, lot number 197 from the December auction 1100-1 of Marti Hervera & Soler y Llach from 19 of December. A theft report to the police is done. Should someone notice this coin or even be offered, we ask for a short message. 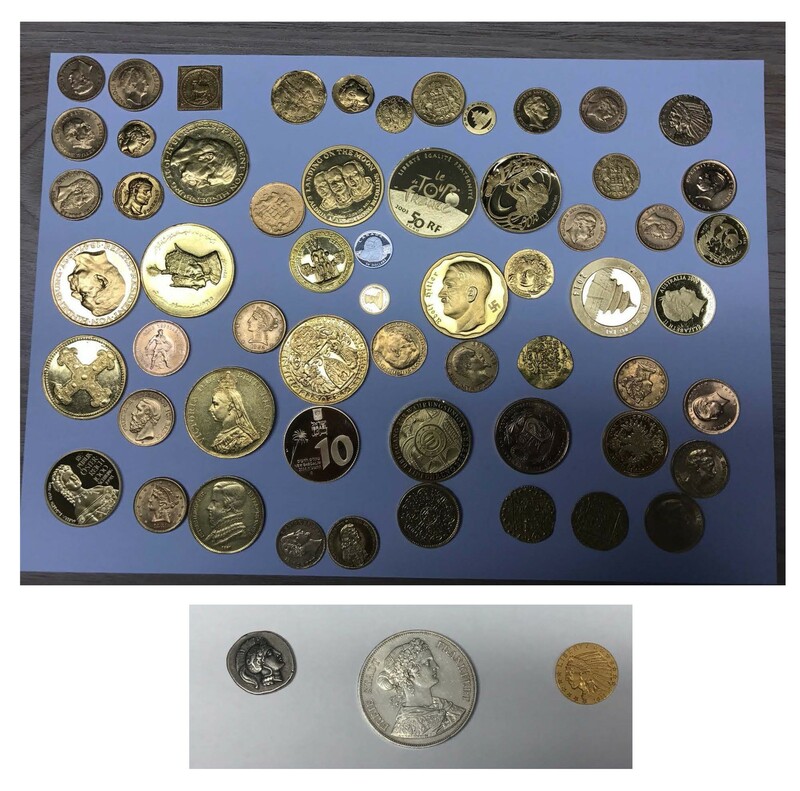 We have received information from a Chicago dealer regarding a residential burglary in the Chicago area where 300 gold German 20 marks were taken. No further information is available at this time. However, be aware of this offense in case any person or persons brings in quantities of 20 marks. 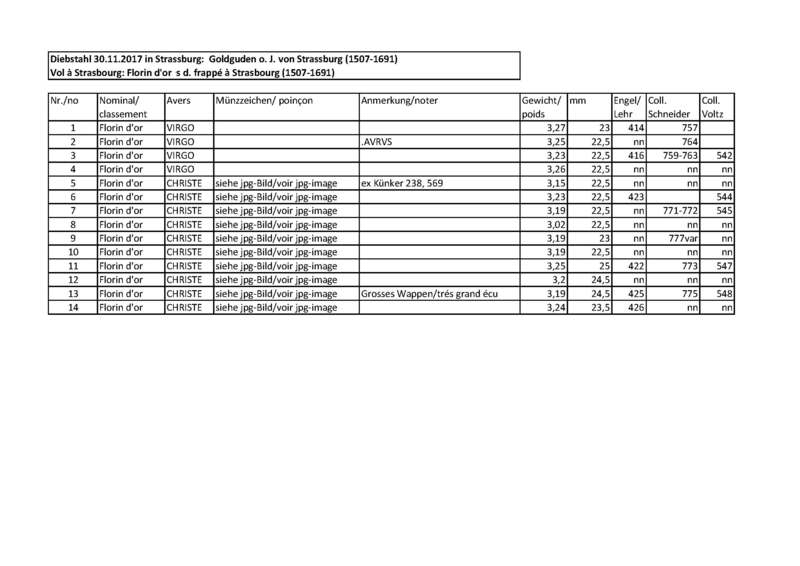 Im Anhang finden Sie die Liste der gestohlenen Münzen – Please, see the attached list and pictures. 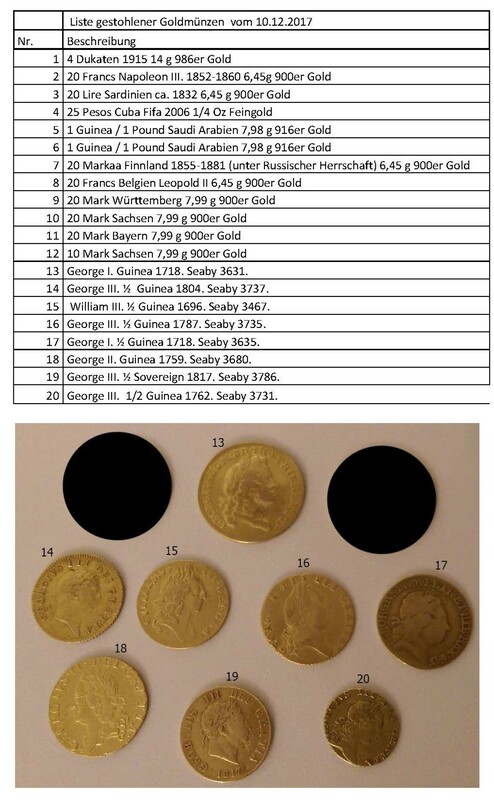 Today, a small collection of 14 goldgulden was stolen from a private house in Strasbourg, including some unique specimens (see attached list). Photos of all pieces are available. If you have any questions, please contact Arne Kirsch at +41-44-2151098 or arne.kirsch@sincona.com.